We have teamed up with artist Rachael Williams to run a great fun art activity inspired by our new exhibition. We've called the activity "Matchstick Men and Matchstick Cats and Dogs" (our update on the famous 1977 song title!) 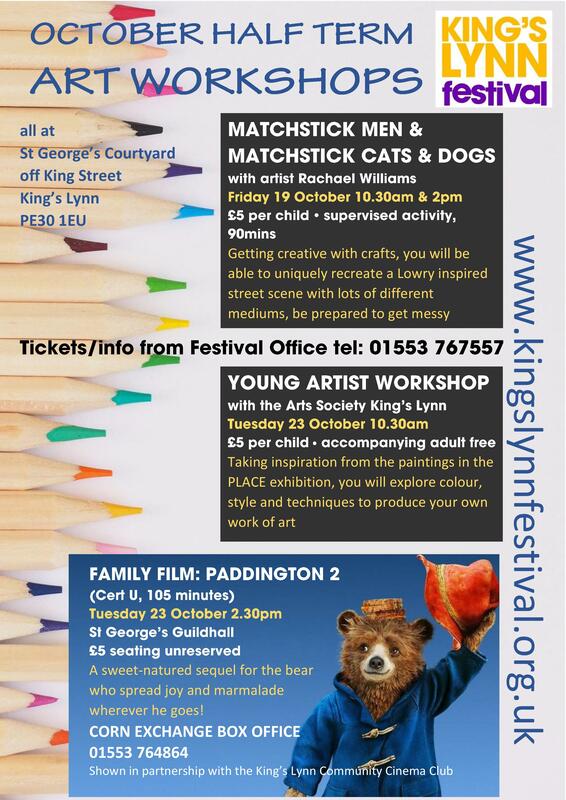 as we will be using the L S Lowry painting in the PLACE exhibition as inspiration for creating King's Lynn street scenes in the Shakespeare Barn on Friday 19 October. Book your place here.